This article will give you tips on how to find the best term life insurance after age 50. An individual’s health of course plays a major factor in determining our life insurance rates. Tip #1– Use an independent agent that represents multiple insurance carriers. Why does this help? Because each life insurance carrier has their own criteria for determining the risk class that you qualify for. They each look at your health and lifestyle differently. A good agent can help find those companies. Tip #2 – Use an agent that has years of experience in working with carriers that specialize in certain health conditions. You see, some carriers have a niche for underwriting certain life insurance risks. As an example, if you have high blood pressure one carrier may be more favorable than another carrier. If you are diabetic, then a different carrier may offer you better rates. or perhaps you race automobiles or enjoy skydiving. Only an experienced agent will know which companies do this the best. Tip #3- Use an agent that you feel comfortable with sharing your medical history. Nowadays, it is simple enough to go online or call a large tele-marketing company for life insurance rates. But, are you really going to be able to have a relationship with an agent who may be there today and gone tomorrow? An agent who is just answering calls and trying to meet a sales quota? You will be sharing medical information and information about your finances. Make sure the agent you are working with is in it for the long haul? Ask about his experience and how long he has been in business. Tip#4– Make your agent earn his commission. In other words, no matter where you buy a life insurance policy, an agent will get paid a commission. If you are not happy with your offer from the carrier, ask the agent to go back and fight for a better offer. Agents who have many years in the business will have no problem searching for as long as it takes. Tip #5– Make sure all your medical history is current. If you have not been to the doctor in a while, you may want to have a physical check-up and be current on all medications, etc. This will save you not only time but money since the insurance underwriter will want to see current physical measurements, labs, etc. on most applications. Tip #6– If you have any concerns with qualifying for coverage due to medical problems such as blood pressure, cholesterol, weight, etc. Get this under control before applying for coverage. Also, ask your agent what the qualifications are for something that you feel may be borderline. For example, if your cholesterol is high, know what the life insurance company needs for you to qualify at the best rate. Again, this is communication you should have with your agent before applying. Tip #7– Tell your agent what your goals are for the coverage. As an example, if you have a need for $250,000 of protection until the kids get out of college or the mortgage is paid off, make the agent aware. There may be a way to ladder the protection that will help lower the premiums. Tip#8– Will your beneficiaries need the full lump sum payment at death.? If not, you may be able to lock in a lower premium if you are willing to take payouts. For instance, perhaps $50,000 for 5 years instead of the full $250,000. Make your agent aware of your needs. Tip #9– Do you want a conversion option? (More details below on conversion) When buying term life insurance after the age of 50 you will want to consider your options for continuing the policy after the initial term period has expired. The conversion option allows you to possibly continue coverage with no medical requirements. If you don’t want this option, let your agent know. This could save you money. Tip#10– Make sure you buy what you want. When buying term life insurance today, most plans offer a policy with guaranteed level rates for a period of 10, 15, 20 years or longer. Make sure you purchase the plan to cover your needs. You don’t want to come back 10 years later and have to buy an additional policy because you made a mistake. Now, you are ten years older and rates will be much higher. Guaranteed 10 year level term– This policy will lock in a guaranteed level premium for 10 years. Once the 10 year period has expired, the policy will then adjust higher each year moving forward. Often used to cover short term needs. Guaranteed 15 year level term– This policy will lock in a guaranteed level premium for 15 years. Once the 15 year period has expired, the policy will then adjust higher each year moving forward. Used to cover short to medium term needs. Perhaps until a mortgage is paid off or kids are out of school. Guaranteed 20 year level term– This policy will lock in a guaranteed level premium for 20 years. Once the 20 year period has expired, the policy will then adjust higher each year moving forward. Used to cover more long term needs. This policy is often time only issued up to age 60, 65 or 70 depending on the carrier. Guaranteed 25 year level term- This policy will lock in a guaranteed level premium for 25 years. Once the 25 year period has expired, the policy will then adjust higher each year moving forward. Used to cover more long term needs. Not too many 25 year term policies are offered in the industry, so can sometimes be tough to qualify for. Age of issue most also be considered since most offer only to 55. Guaranteed 30 year level term– This policy will lock in a guaranteed level premium for 30 years. Once the 30 year period has expired, the rates will adjust upward each year moving forward. This policy max issue age is often age 50. Okay, so we have gone over some of the tips you need to use in order to find the lowest term life insurance after age 50. Now, let’s look at a few common health conditions and if they are insurable. High Blood Pressure– very common. With good control and no other major problems many carriers can issue a preferred risk class. Diabetes– Another common condition that we see. Type 1 diabetes can often times be difficult to find affordable coverage, but it is possible. Type 2 diabetes is very insurable with good control. Heart Disease– this can cover a wide range from by-pass surgery to valve replacement. There are companies that specialize in underwriting these conditions. Definitely worth talking to an underwriter about. Cancer– Again, another condition that has many aspects. Finding life insurance after a cancer depends heavily on the time that has passed, the grade or size of the tumor and the treatment needed. We find many carriers that underwrite this condition aggressively. Barrett’s Esophagus– can be a pre-cursor to cancer, but if mild or being treating then good possibility of being insured. 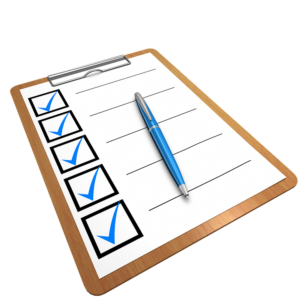 Again, it is important to note that each life insurance carrier has their own guidelines an underwriting criteria. It is important to find the one carrier that will underwriter your situation the most favorably. As mentioned above, the conversion option of a term life insurance policy can be very valuable. Most people are unaware of this option. The conversion option is offered on most (but not all) term life policies. This option allows you at any time up to the age the conversion option expires (typically 65 or 70) to convert any portion of your current term death benefit protection to a permanent death benefit plan. Why is this important? When you purchase a term policy you typically have plans to only have the coverage for a limited number of years. Perhaps 10 or 15 years. But, what if something changes and you need coverage longer than expected. And what if during the time you are holding the policy you become sick or diagnosed with cancer or heart disease and cannot qualify for coverage elsewhere. This is where the conversion option helps. You can convert a portion or all of your plan to a permanent plan of coverage (whole life) without any proof of medical insurabilty. This can be a life saver if for whatever reason you need the coverage longer than you originally thought. It is vital to get the conversion information on the policy you are considering up front before you purchase a term plan. I have seen many times over my 30 years of where the conversion option has been used when originally there was no plan on using it. Finding affordable term life insurance after age 50 does not have to be difficult if you use the expert resources of an agent with years of expirecne and the knowledge of the marketplace. We invite you to contact us at 1-888393-9003 or mike@specialriskterm.com for a free consultation. You will speak directly with the owner of the agency and get an immediate response to your particular situation. Thank you for taking the time to read this blog.